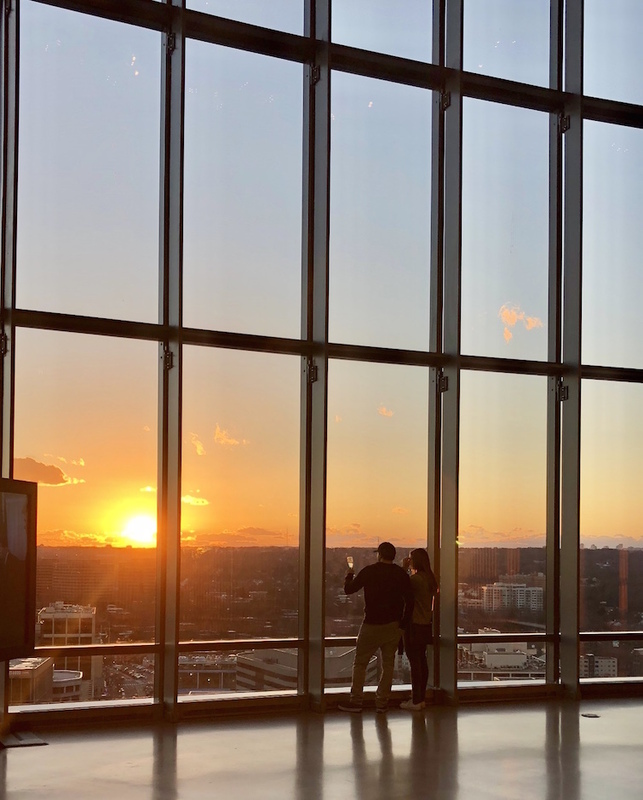 Rosslyn just keeps getting better and better. 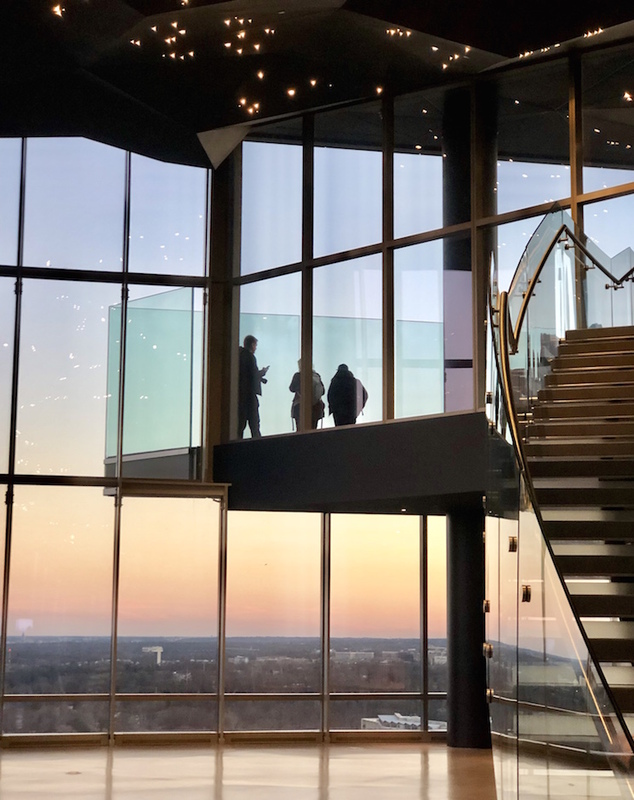 There are so many great things about it: there aren’t too many people (people are so annoying); Georgetown adventures are an easy walk across the Key Bridge; free outdoor movies play in Gateway Park in the summer; new restaurants are cropping up all of the time, along with gorgeous new buildings, from luxury apartments to this photogenic Rosslyn Observation Deck at CEB Tower. 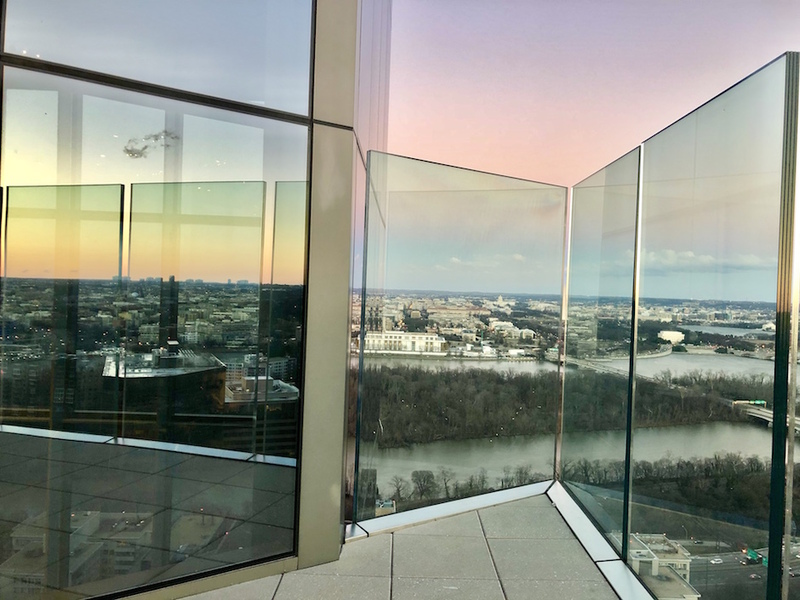 I’m happy to call myself an Arlingtonian, and not just because the Rossi observation deck provides free entry to for us! 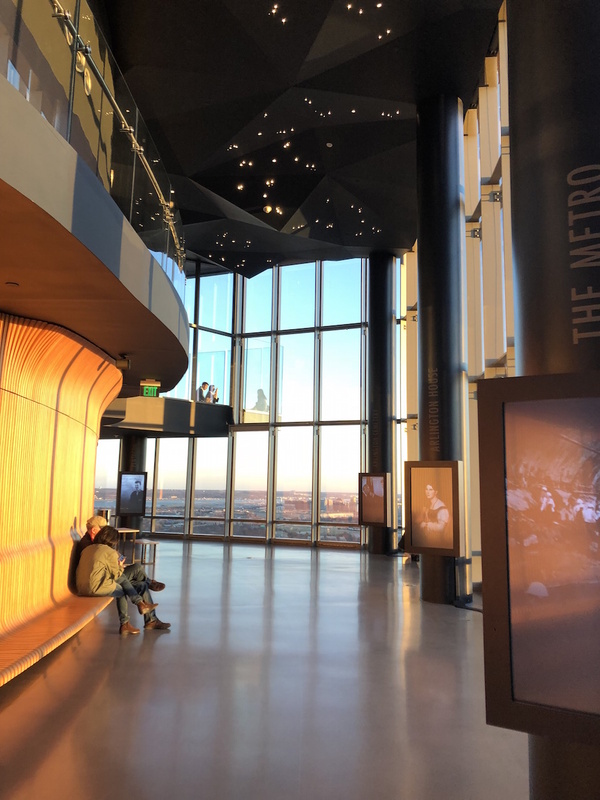 They really did an excellent job with this beautiful structure…windows for days, views on views, interactive exhibits, a professional camera photo op via a smartphone app, and a cafe & bar for ample viewing pleasure. We decided to visit during sunset to enjoy golden hour, followed by the twinkling of buildings at dusk. 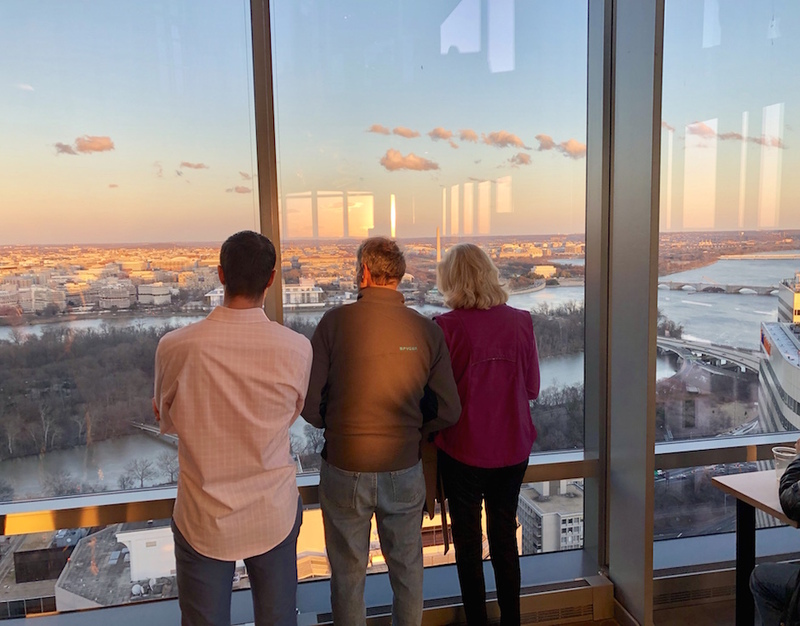 It’s definitely worth a visit, and if you want to grab dinner with a view afterwards, try my “super secret spot”, the Vantage Point Restaurant at the Holiday Inn Rosslyn. It is a hotel, so it’s not really about the food ha (although, the pasta dishes are great! 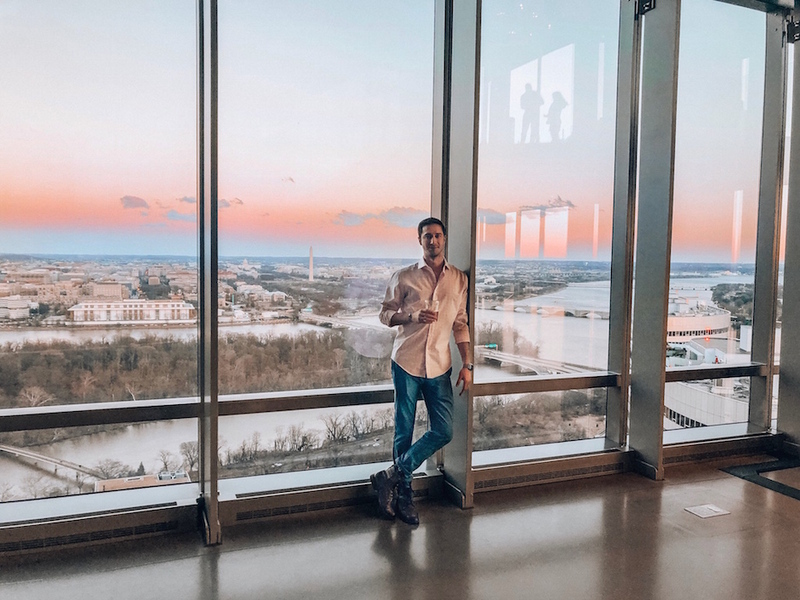 ), but the restaurant is always peaceful and boasts quite amazing views of the surrounding area, river and Key Bridge into Georgetown. 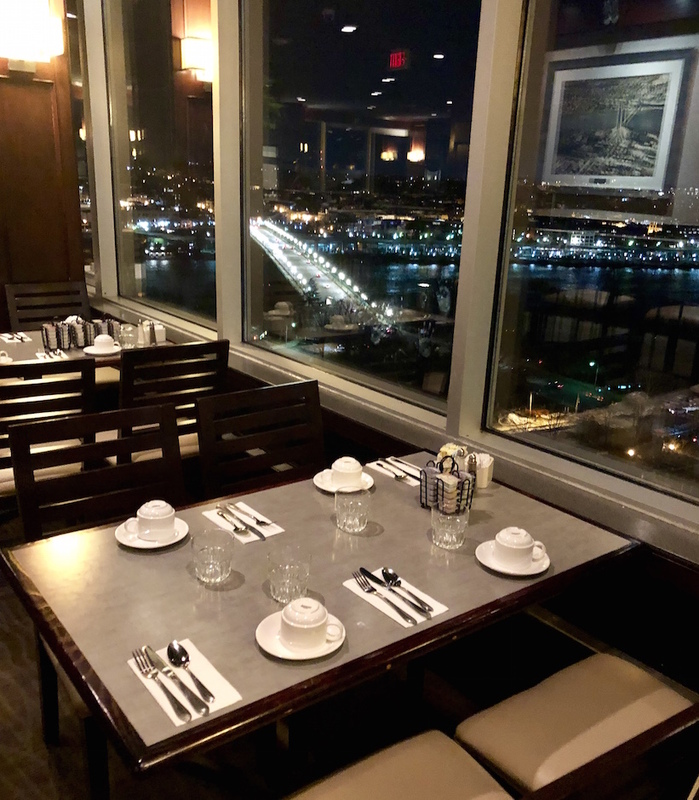 The Vantage Point Restaurant at the Holiday Inn Rosslyn, below..